Are you looking for something special for your child's birthday party? 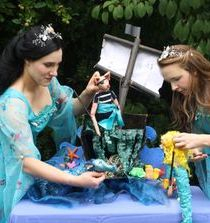 Rust & Stardust's magical puppet parties are a wonderful way to celebrate an unforgettable day! 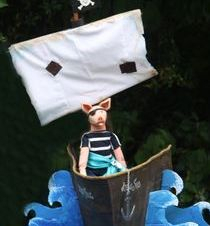 With charming tabletop puppetry, storytelling, singing and themed craft activities, our parties offer traditional handmade fun to capture children's imaginations. We can adapt our parties to your theme, so why not contact us to discuss your requirements? We loved your amazing puppet show. The whole thing was a magical experience! Thank you so much ladies! It was magical! Millie is walking on stardust and will cherish the memories forever. The little details were wonderful - thank you for making her birthday so special. Click for more information on each show. Please see below for our booking form and further details of our party packages. We generally do not offer parties outside East and West Sussex and the surrounding area, but parties further afield can be arranged by special request. - Sing Happy Birthday as the birthday child blows out their candles and wave goodbye as the children enjoy their cake! Standard Party Package (1.5 hours) - £200 for up to 20 children, plus an additional £6 for every child after 20. Longer parties and additional activities are charged on an individual basis. Please note that there may be an additional cost if there is more than one birthday child (e.g. for party sharing). This is to allow us to offer the same experience to each birthday child! Rust & Stardust (Eleanor Conlon and Katie Sommers) are fully DBS checked and hold current Public Liability Insurance. Please get in touch via the booking form below to discuss your requirements and confirm your booking. Thank you for choosing a Rust & Stardust Puppet Party! 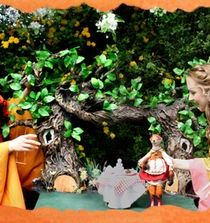 Thank you for your interest in Rust & Stardust Puppet Parties! We will get back to you as soon as possible.